How do I run compliance activity reports on-demand? For the HR Manager or Blended User: To run this report, click on “Tools” in the gray menu bar that appears at the top of every page, then click on the “Download Activity Report For Company Name” link. 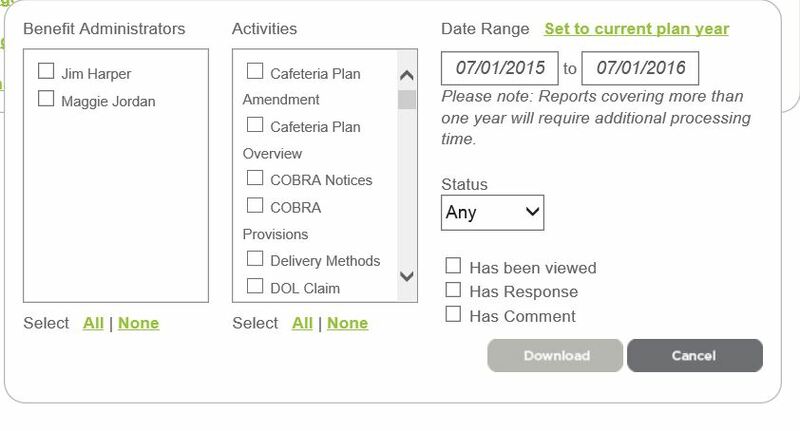 Select the information you want to include in the report and click on the “download” button. This will export data from Compliancedashboard into an Excel spreadsheet. You may need to adjust the column width in the spreadsheet to correctly display all of the information. This report can also be run automatically and emailed to you at a time period you specify. To learn how, see the “How do I run compliance activity reports automatically?” FAQ.